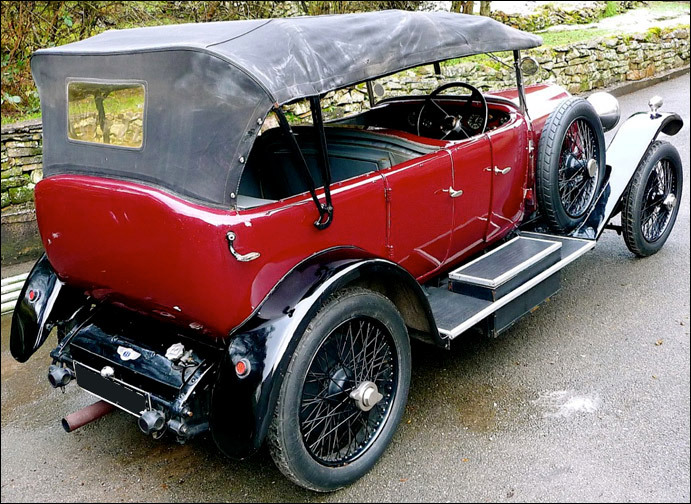 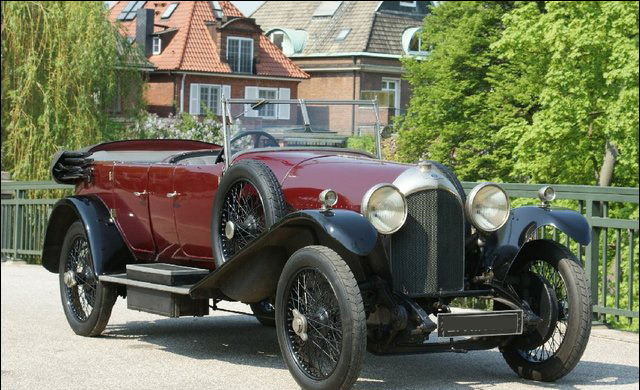 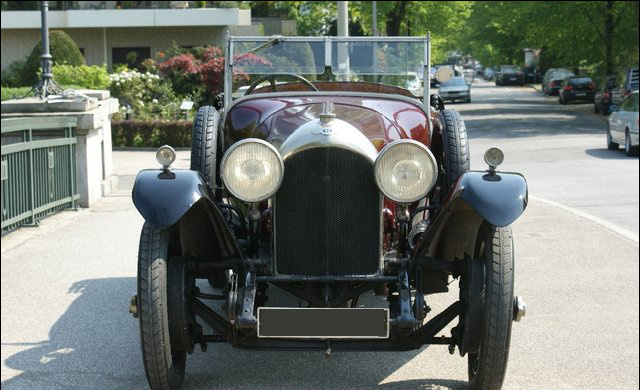 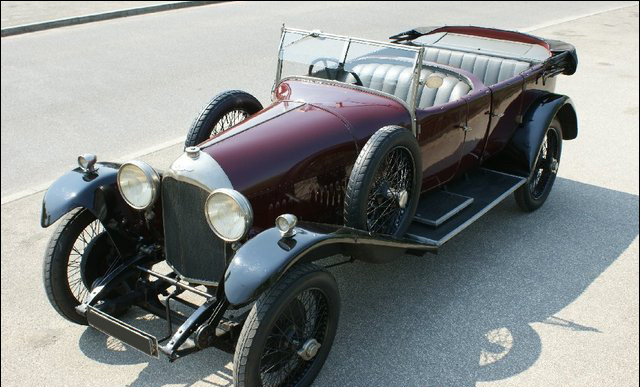 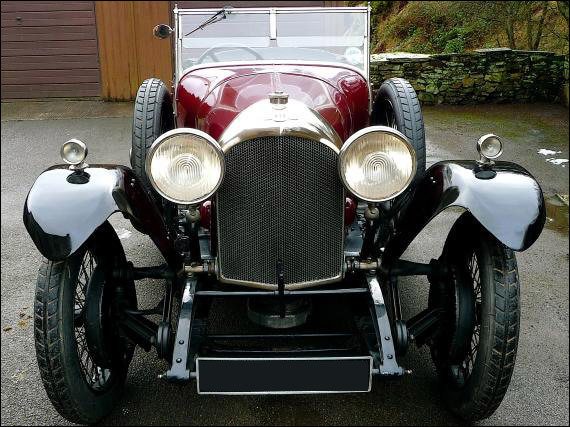 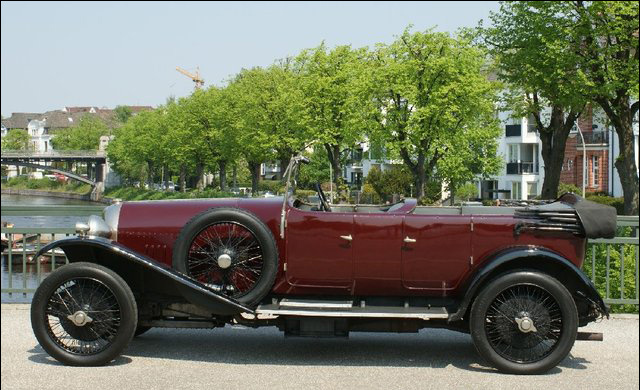 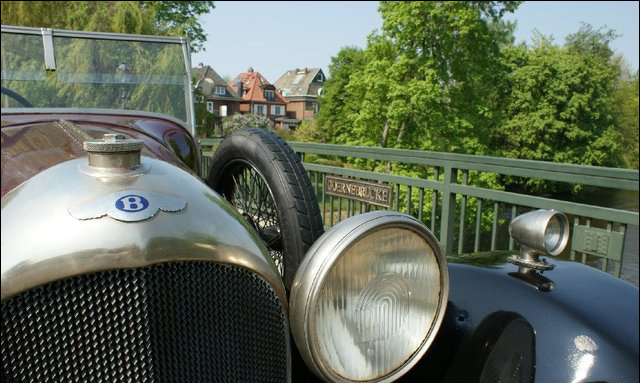 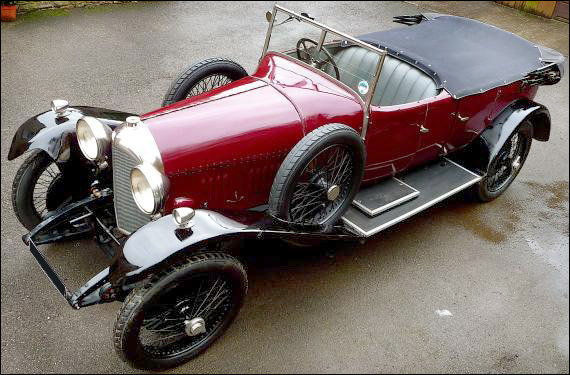 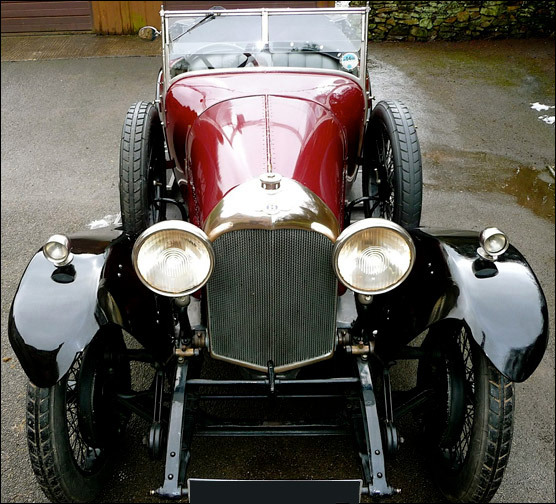 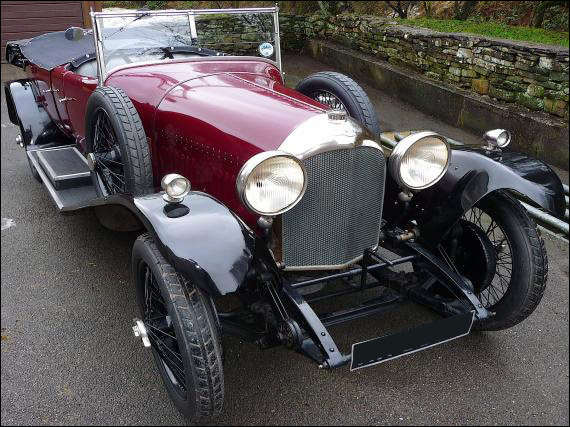 This is supposed to be one of the most original 3 litre Bentleys in existence with a very well documented history. 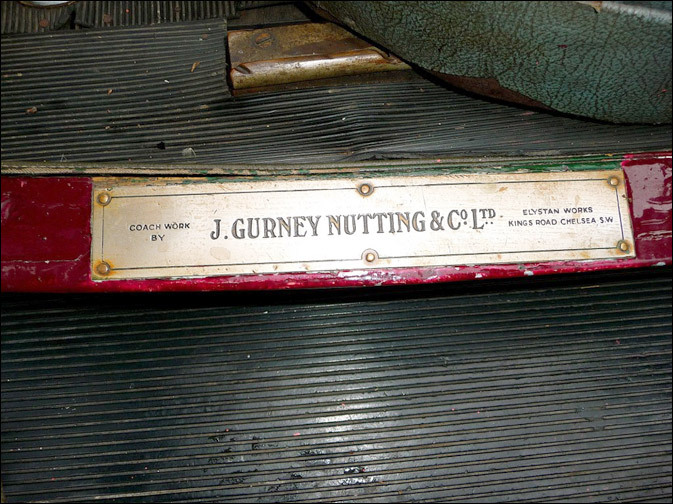 The unusual Gurney Nutting body is still very much in the same condition it was produced 87 years ago, apart from a repaint that was done in the 60s. 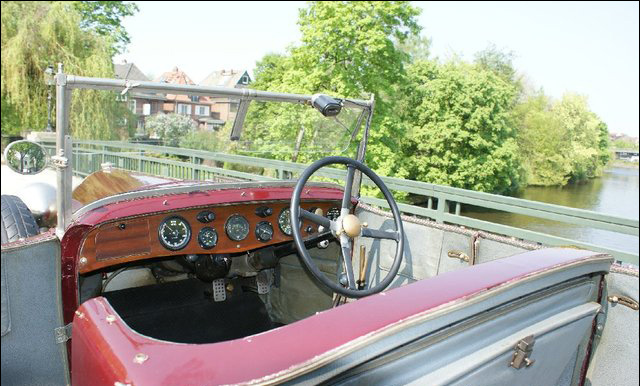 The car has a nice patina, sound mechanics and is a pleasure to drive. 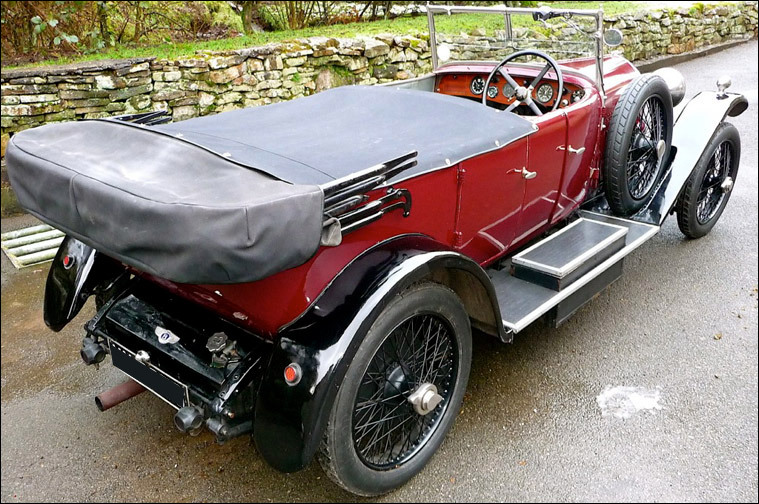 This is a totally original Long Chassis Tourer by renowned coach builders Gurney Nutting, located formerly on the Kings Road In Chelsea. 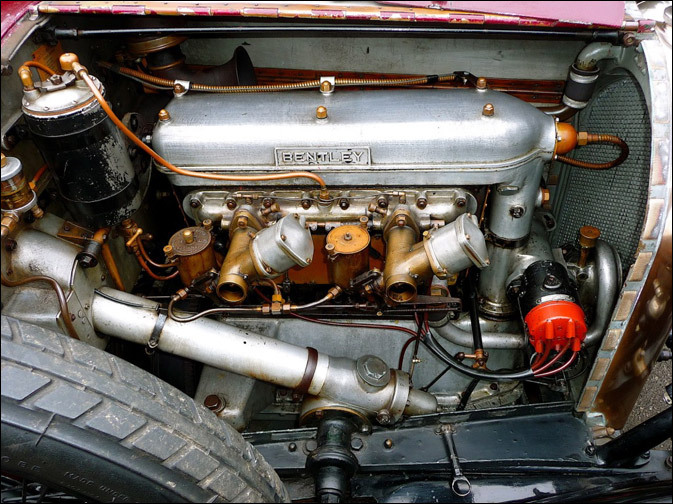 The body is original to the car, as is virtually everything else about it. 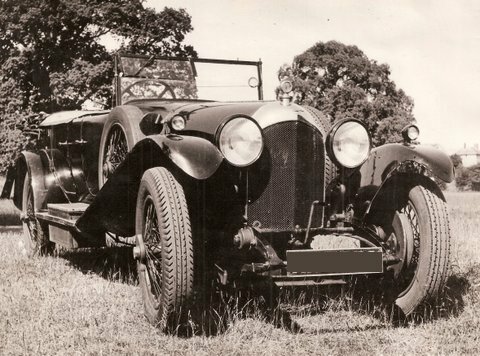 The indicated mileage of 93,283 is almost certainly the correct one as we have mileage records going back to the 1950's, including a detailed log kept of all expenditures by the previous owner but one. 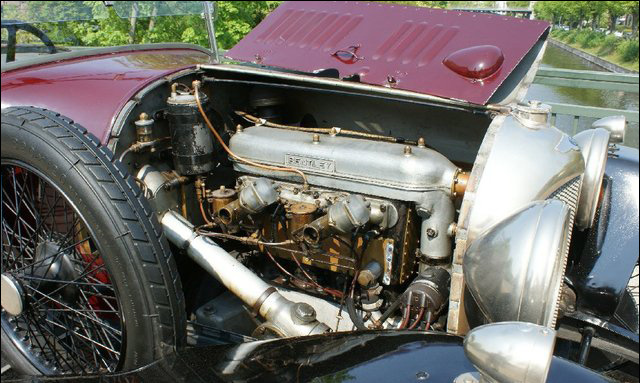 This includes a complete engine rebuild at 80,075 miles in 1962!!! 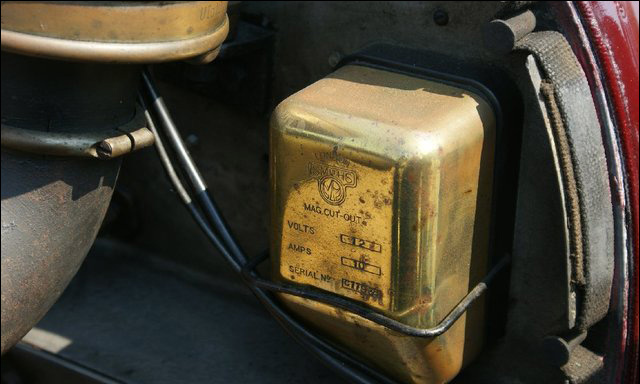 The car starts on the button & runs strongly with good oil pressure on either magneto. 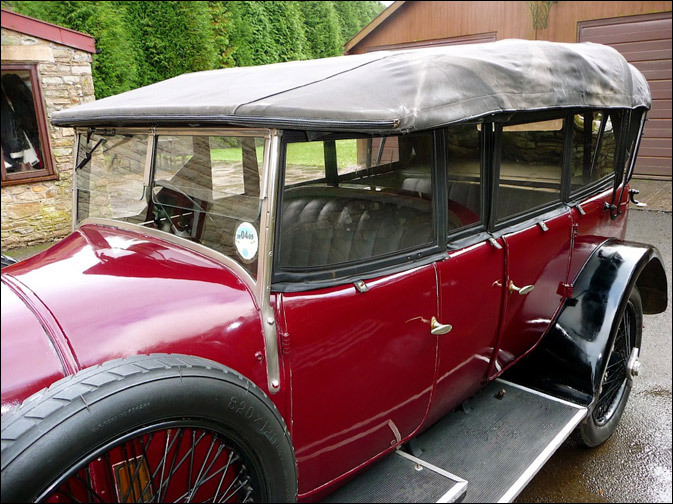 Also included was a new clutch and a whole host of other items detailed in the owner's log. 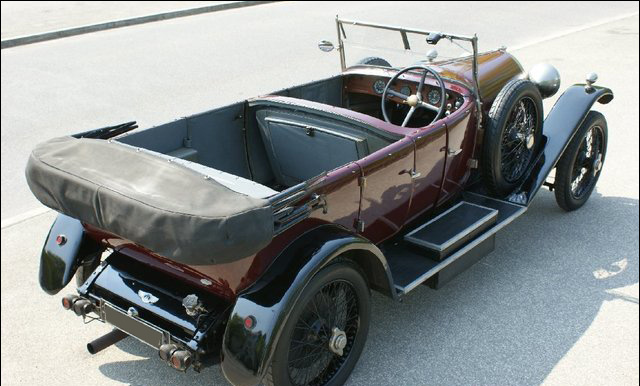 The paint is Burgundy over Black and is quite old with lots of patina and the sort of minor cracking that these cars generate over the years. 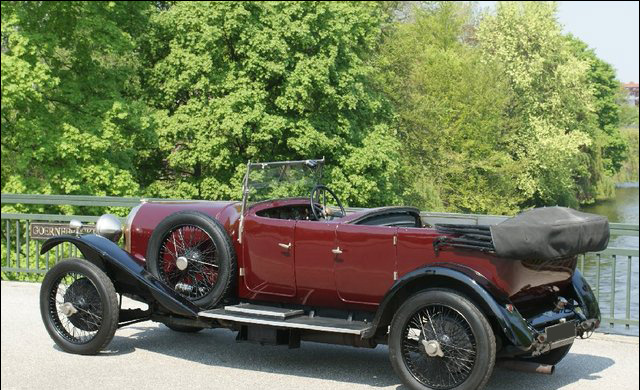 The car presents very well as witnessed by the pictures! 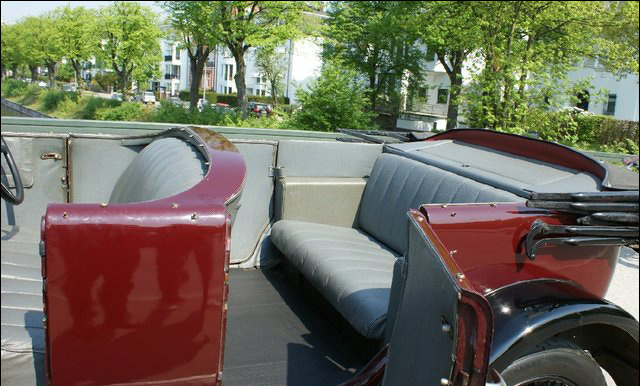 Dual side mounts adorn the running boards and tool boxes are recessed in the running boards on both sides. 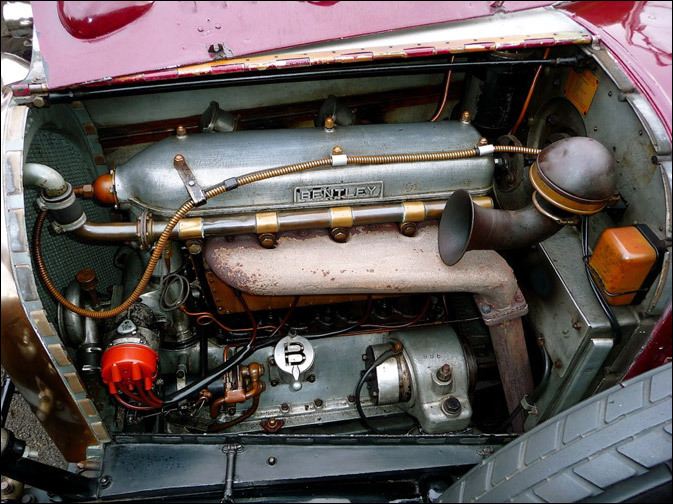 The radiator bright work and lamps are all in excellent order. 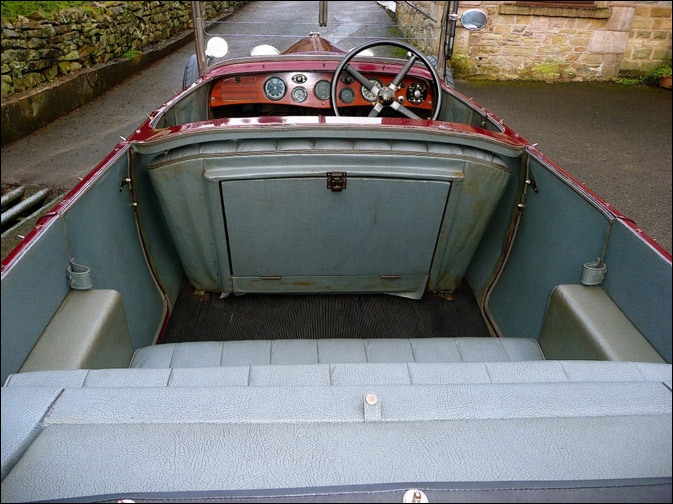 The interior is upholstered in faded rexine which is in remarkably good condition with no splits or tears. 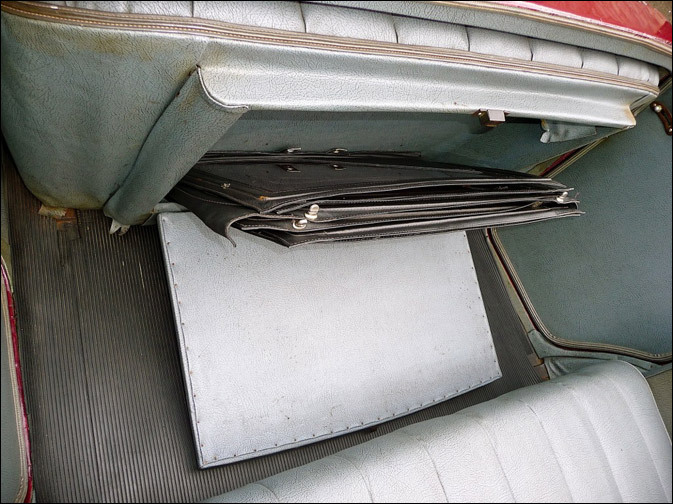 Rubber mats are mounted in both front and rear foot wells. 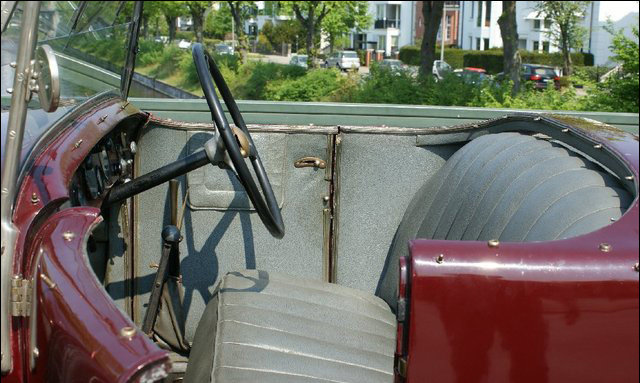 The car comes with full weather gear, with the removable side screens cunningly concealed in a box made for the purpose in the back of the front seat. 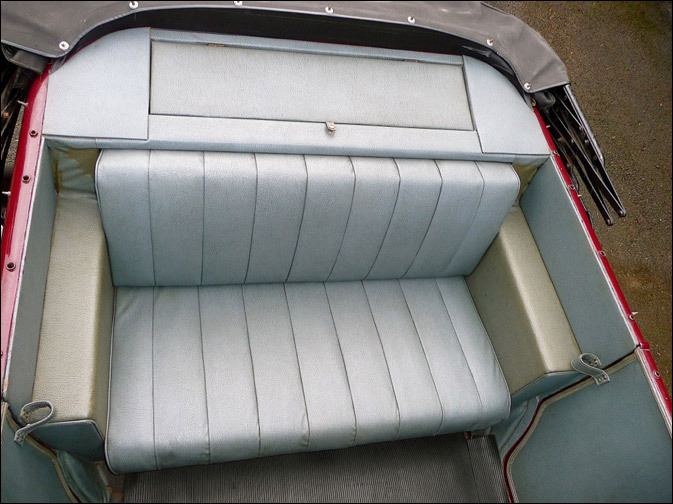 A useful storage box is accessed by lifting a hatch in the back of the rear seat. 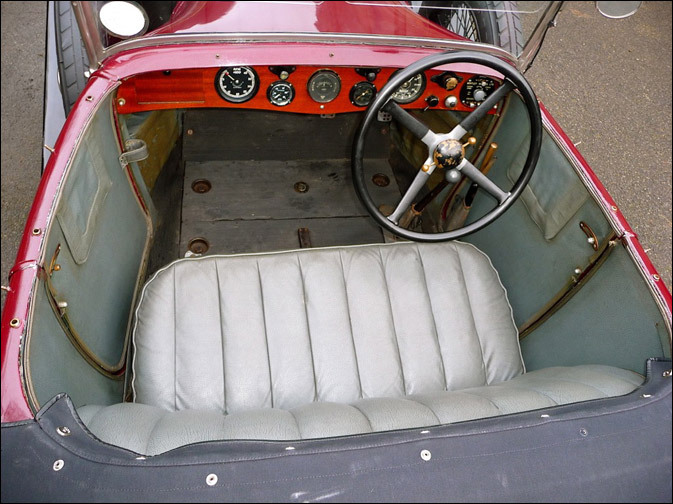 The door panels are also rexine with map pockets concealed in the sides. 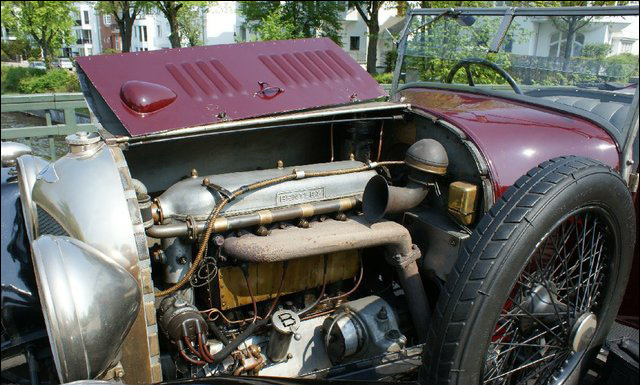 The hood is a simple affair for one person to raise or lower, and is in excellent condition with just a little fading commensurate with its age. 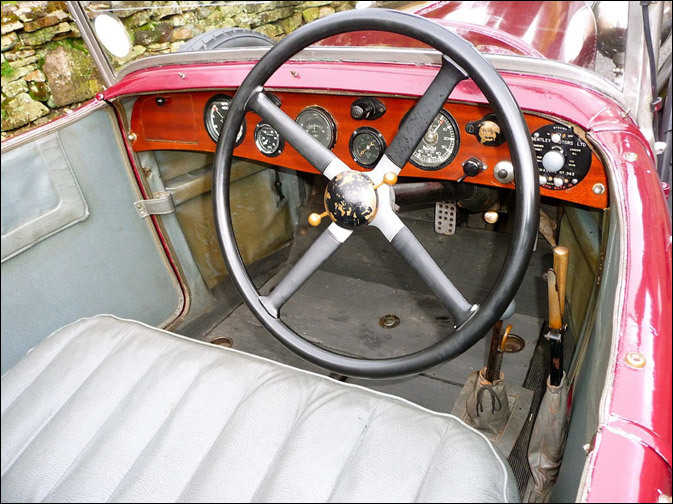 The car starts readily and pulls strongly in all gears. 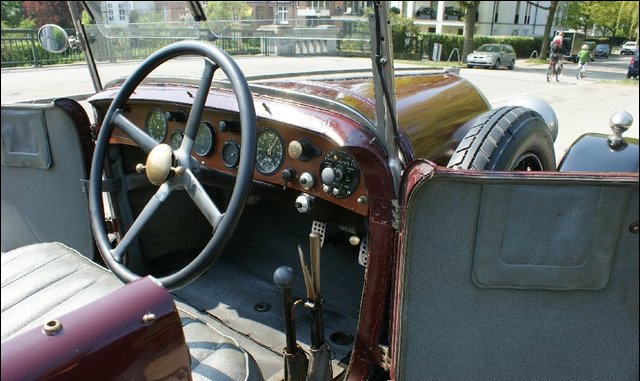 There is a slight whine from second gear, but it has been there for 24 years so should give no reason for concern. 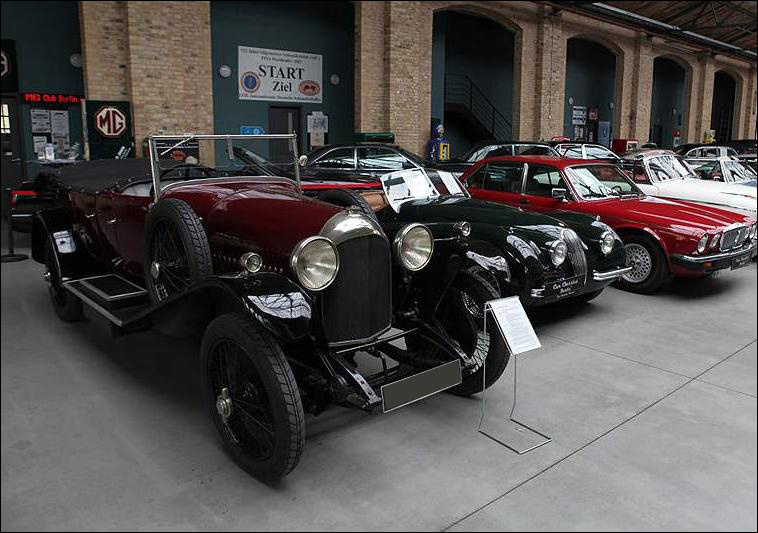 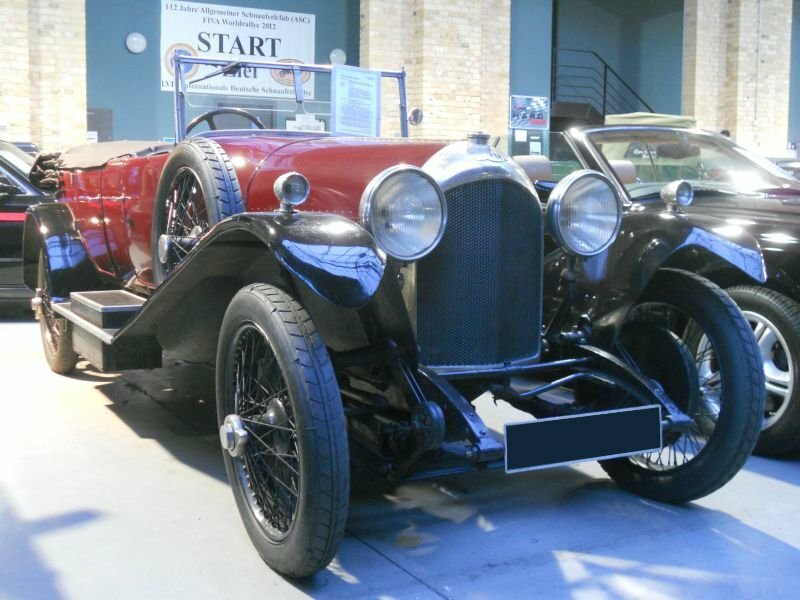 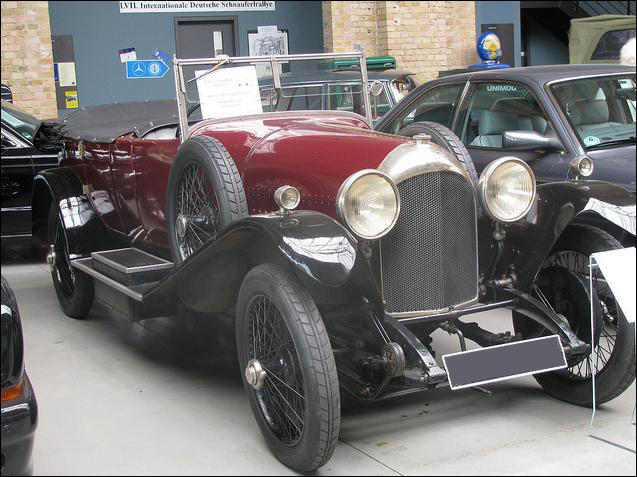 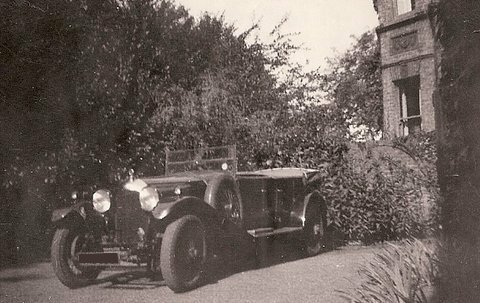 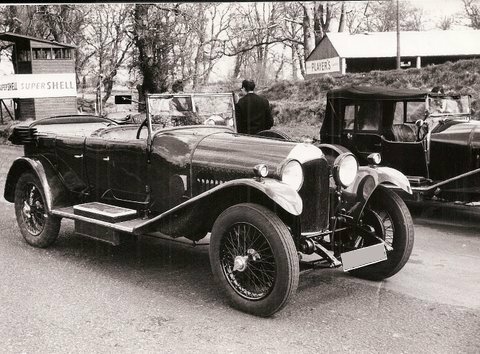 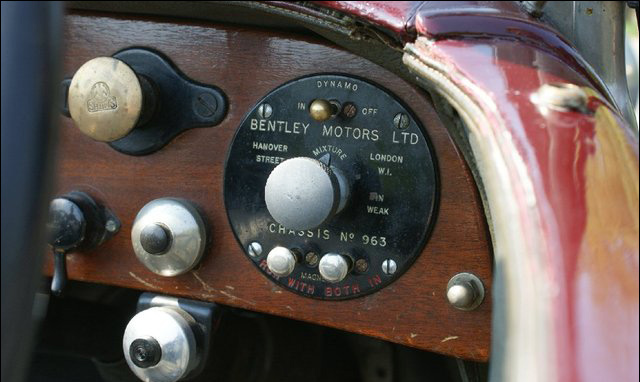 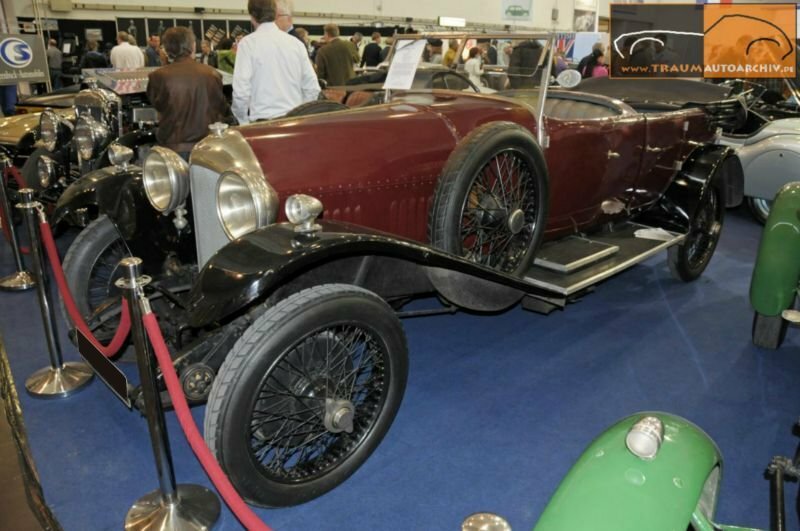 We have pictures of the car in Bentley's London showroom in 1926 no less!!! 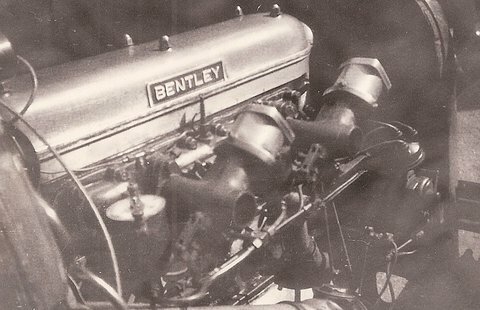 Its appearance then is little changed from how it appears today.